POINT: I’ve done so much for this city. Point columnist: Phillies first baseman Ryan Howard. What happened this weekend was an absolute atrocity. I will be the first to admit (and I have admitted to the fact) that I have not played well this season. I understand the fan’s frustration, because I am extremely frustrated with myself as well. But to have a fan callously throw a beer bottle at me during Saturday’s game was just atrocious. When fans feel it necessary to engage themselves in such dangerous behavior, it makes me wonder if they remember all that I did for this city? Tebow couldn’t have been better! Unbelievable. 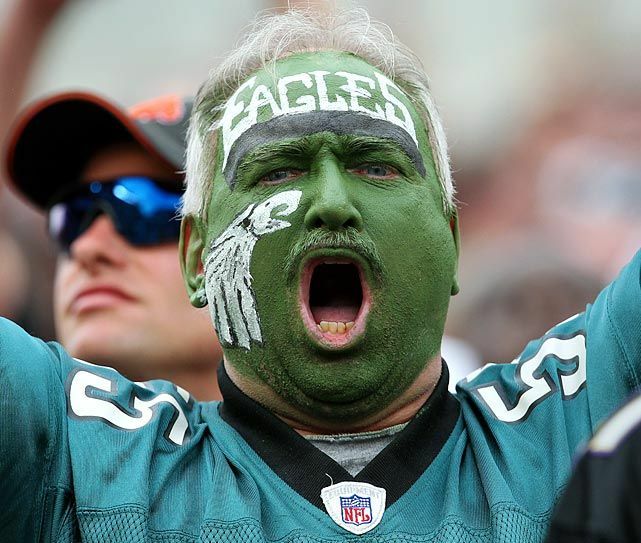 What a way to ingratiate yourself with the hard nosed, blue collared fans of Philadelphia. I cannot remember a better debut in my lifetime, even my buddy Sully said he was impressed and Sully is not easily won over. He’s been drinking the same brand of beer for the past 25 years (Narragansett if you wanted to get him a case for the feast of San Gennaro) so he’s a hard man to convince. But you can’t argue with the results. One touchdown on a sweet six-yard run and a 50% completion rate is absolutely nothing to sneeze at. Plus, 69 yards (69 bro!) through the air in a half is not too shabby when you’re trying to manage the clock and run out the end of the game.